The value of pipe #416 is n/a points. My buddy Al Grosskopf sent me an E-mail the other day. He found a passel of pipes at an an antique show and thought I might like the lot. His price was fair and my policy of rewarding those who find pipes for me pays off, so I bought the lot, nine pipes in all. 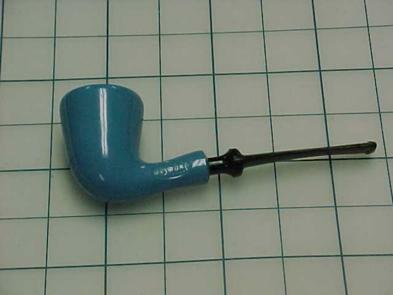 Most of them are duplicate pipes and will go up for sale immediately. It didn't take Doug Roller long to find it and he bought it.